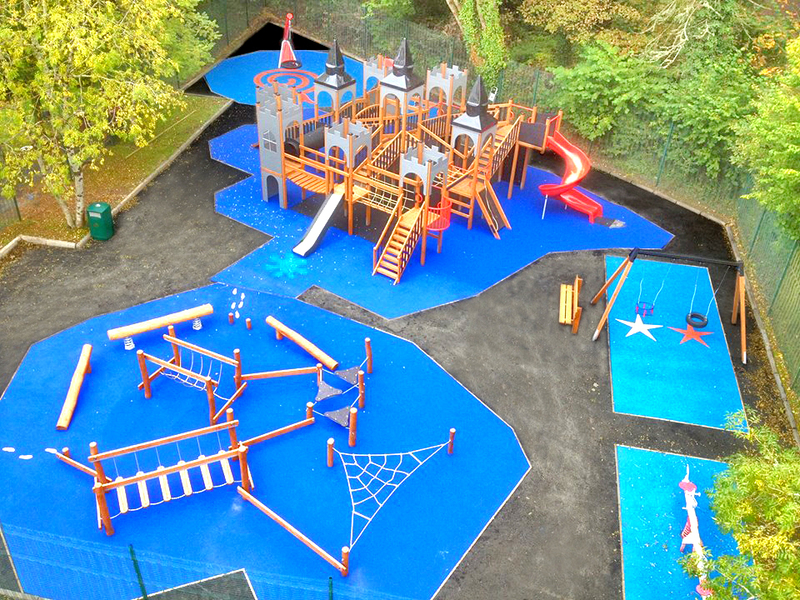 We are delighted to have recently completed a fantastic project with Castle Archdale in Enniskillen were we designed and installed some custom caravan park playground equipment. As we were installing in a busy area, we had to ensure all health and safety requirements were followed, site was properly secured and that we communicated progress with client on a regular basis. We had to scan the area and came across electrical cables which proved to be a challenge. We had to reposition equipment to allow works to continue. We discovered the site was built on an old site where concrete was poured on top of an old bunker and the centre of the site was holding water. We had to put forward a drainage solution for approval to ensure water logging wouldn’t be an issue. We have completed the project on time and the client has already referred us to other caravan parks. 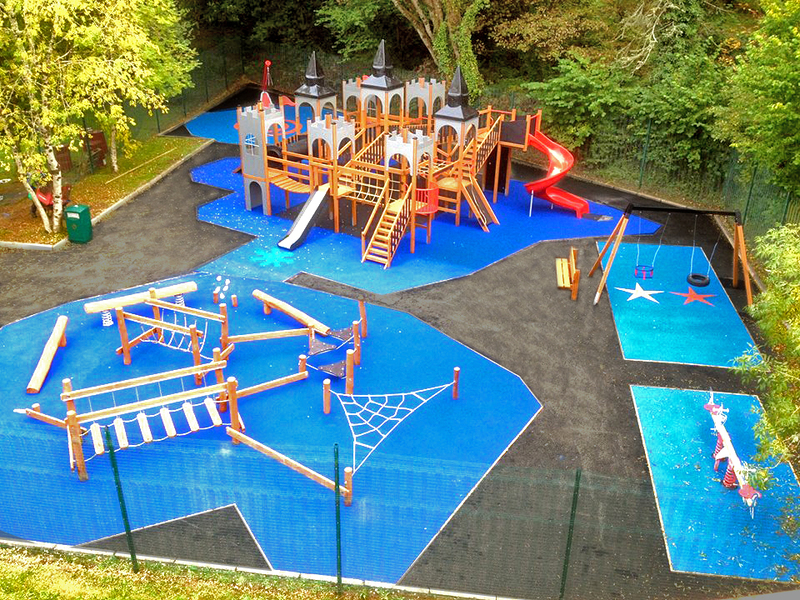 The playground equipment selection was something we had decided upon as soon as we entered the Castle Archdale site. We created a bespoke design to encapsulate the historic surroundings. 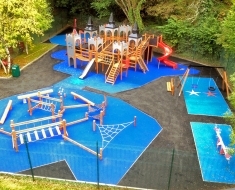 The castle hosts 3 slides, a large red twisted, a wide slide for DDA and a toddler slide. 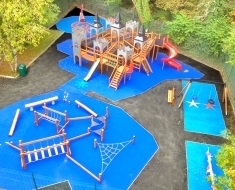 It encourages adventure, balancing, climbing, sliding, role play and a host of other activities. We added to the adventure by installing the Sahara obstacle course/trim trail which encourages the development of fine motor skills such as balancing, climbing etc. Kids love this and I am sure will promote hours of fun. We also installed our very popular tornado swing; the large swing seat encourages multiple users to swing at once. It rotates and swings in all directions; you often see long queues at this item of play equipment. For the toddlers we installed the traditional set of swings along with a springer and a spring see saw. Toddlers love these traditional pieces of kit and they can easily access them unaided. The playground promotes inclusive play and we are honoured to have been a part of such a fantastic scheme.